(PRLEAP.COM) Progressive Prison Ministries, Inc. (prisonist.org) proudly announces that it will be hosting the 150th consecutive weekly meeting of the world's first and only confidential online White Collar/Nonviolent Support Group on Monday, April 22nd at 7:00 pm EDT. Jeff Grant, J.D., M.Div., who developed and hosts the meeting, explained the significance of the milestone meeting. "We are extremely proud that this group gets bigger and better each week. When we started the group three years ago, we had a dream that people with white collar/nonviolent criminal justice issues living in shame, guilt, fear and isolation could form a supportive community. Together, participants can accept responsibility for behaviors, make amends, and embrace a new life of compassion, empathy and kindness. The group supports each other and reaches out to others suffering in silence." Every Monday evening, Progressive Prison Ministries, through its popular criminal justice resource site prisonist.org, hosts the one-hour meeting. Attendance is steadily increasing. "We've had over 125 men and women participating from 21 different states - and overseas," Grant said. "While everyone who participates in the forum has been prosecuted for a white collar or nonviolent crime, the group is solution oriented and dedicated to understanding and encouragement," Grant explained. 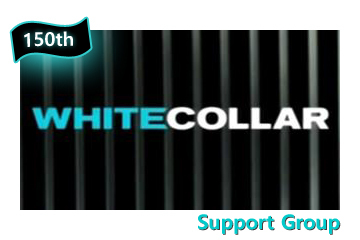 Grant explained, "Most white-collar criminals can't go back to their old lives and careers, so what choice do they really have? Why not embrace a completely new life, with new options, and new opportunities centered on spirituality and doing the right things? The most fortunate are those who figure out that their attempts to solve problems in isolation are not working, and that they no longer have to go it alone." About Progressive Prison Ministries: Established in 2012 in Greenwich, Connecticut, Progressive Prison Ministries is the world's first ministry created to support individuals, families and organizations with white-collar and other nonviolent incarceration issues. More information is available at Progressive Prison Ministries and on its social media channels: Facebook, Twitter, Instagram, and LinkedIn. About Progressive Prison Ministries' Co-Founders: Co-founders Jeff Grant and Lynn Springer were recently featured in a twelve-page article in Greenwich Magazine: "The Redemption of Jeff Grant," March 2018 issue. Jeff is also the former Executive Director of Family ReEntry, a Bridgeport, CT based criminal justice organization. After an addiction to prescription opioids and serving almost fourteen months in a Federal prison for a white-collar crime he committed when he was a lawyer, Jeff began his own reentry – earning a Master of Divinity from Union Theological Seminary in New York City with a focus in Christian Social Ethics. Rev. Jeff Grant, J.D., M.Div., T: (203) 405-6249; E-Mail: info@prisonist.org, prisonist.org.